7 ""Introduction to Black feminism"
Charlene Carruthers is the former Program Coordinator, Legal Mobilization Project of the Lawyers' Committee For Civil Rights Under Law. She has also worked for National People's Action and Center for Community Change. She lives in Chicago Illinois. She is National Director of the Black Youth Project 100. Charlene Carruthers is a Black, queer feminist community organizer and writer with over 10 years of experience in racial justice, feminist and youth leadership development movement work. She currently serves as the national director of the Black Youth Project 100 (BYP100), an activist member-led organization of Black 18-35 year olds dedicated to creating justice and freedom for all Black people. First politicized as an 18 year old while studying abroad in South Africa, her passion for developing young leaders to build capacity within marginalized communities has led her to work on immigrant rights, economic justice and civil rights campaigns nationwide. With a focus on intersectional liberation, Charlene’s organizing capacities span across a broad range of topics and she currently serves as a board member of SisterSong, a reproductive justice organization that promotes solidarity among women of color. She is an Arcus Leadership Fellow and Front Line Leadership Academy graduate who has led grassroots and digital strategy campaigns for national organizations including the Center for Community Change, the Women’s Media Center, ColorOfChange.org and National Peoples Action, as well as being a member of a historic delegation of young activists in Palestine in 2015 to build solidarity between Black and Palestinian liberation movements. Awarded the “Movement Builder Award” by the United States Students Association, Charlene is deeply committed to working with young organizers seeking to create a more loving and just world. She has facilitated and developed political trainings for organizations including the NAACP, the Center for Progressive Leadership, Young People For and Wellstone Action. 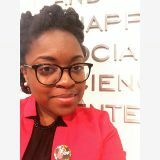 Charlene is the winner of the “New Organizing Institute 2015 Organizer of the Year Award” and has served as a featured speaker at various institutions including Wellesley College, Northwestern University and her alma mater Illinois Wesleyan University, where she earned a B.A. in History & International Studies. Charlene also received a Master of Social Work at Washington University in St. Louis. Charlene was born and raised on the South Side of Chicago where she currently resides and continues to lead and partake in social justice movements. Charlene’s inspirations include a range of Black women, including Ella Baker, Cathy Cohen, and Barbara Ransby. Her work has been featured on many national outlets including Ebony Magazine, Feministing.com, USA Today and the Washington Post. Washington University, St. Louis, Missouri. Dream Defenders Palestine Delegation toured "Palestine" and in Israel, early January 2015. The full list of delegates included five Dream Defenders (Phillip Agnew, Ciara Taylor, Steven Pargett, Sherika Shaw, Ahmad Abuznaid), Tef Poe and Tara Thompson (Ferguson/Hands Up United), journalist Marc Lamont Hill, Cherrell Brown and Carmen Perez (Justice League NYC), Charlene Carruthers (Black Youth Project), poet and artist Aja Monet, Patrisse Cullors (Black Lives Matter), and Maytha Alhassen. On a historic trip to Palestine, freedom fighters from Los Angeles, Miami, Chicago, New York, Ferguson, and Atlanta were able to witness firsthand the effects of Israeli apartheid and occupation, and to learn from the people who are actively resisting on the front lines. In Nazareth, the delegates decided to do a solidarity demonstration as a call for support of the Boycott, Divestment, and Sanctions (BDS) campaign that was called for by Palestinian civil society in 2005. This demonstration was coordinated by Patrisse Cullors, co-founder of ‪#‎BlackLivesMatter‬, and features "Ella's Song" by Sweet Honey in the Rock, sung by Charlene Carruthers, National Director of the Black Youth Project 100 and Dream Defenders’ Executive Director Phillip Agnew; poet, artist, and New York Justice League member, Aja Monet; rapper and Ferguson/Hands Up United organizer Tef Poe, and Ferguson/ Hands Up United organizer, Tara Thompson. Dream Defenders Ciara Taylor, Steven Pargett, Sherika Shaw, and Ahmad Abuznaid, journalist Marc Lamont Hill, New York Justice League organizers Cherrell Brown and Carmen Perez, and Maytha Alhassen, a University of Southern California Doctoral Candidate, are seen preforming the debke, a traditional Palestinian folk dance. April Taylor July 29, 2015; With Jonathan Lykes, Charlene Carruthers, Ashley Yates, Chaz Briscoe, Osagyefo Sekou, Della V. Mosley, Temperance Brennen, Zakiya Sankara-Jabar, Jacqui Bolden, Ash-Lee Henderson, Maurice Moe Mitchell, Erika Totten, Chanelle Helm, De Nichols, Jacqui Germain, Tara Pruitt, Ashley B. Sunshine, Alisha Sonnier, Malkia Cyril, Enchanta Ma'at Jackson, Ashe Helm-Hernandez, Opal Ayo, Sistufara W. Muhammad, Stand Up Sunday- Stand Up Louisville and Stop Mass Incarceration Network KY. The Black Lives Matter "Movement for Black Lives" conference was held in Cleveland Ohio, July 24-26, 2015. The 2016 Election: How to Make a Concrete Impact and Build Capacity for Black Organizing: Black Youth Project 100, Charlene Carruthers: Black Youth Project 100, Cedric Lawson: The Leadership Conference on Civil and Human Rights. UnitedWeFight: 1st Anniversary of the #Ferguson Uprising - National Conference Call. Thurs. 8PM EST / 7PM CST Register at http://bit.ly/uwfcall — with Justin Hansford, Scott A. Roberts, Mary Hooks, Kayla M. Reed, Diamond Latchison, Kareem Jackson, Bukky Gbadegesin, Katrina Gamble, Tanya Lucia Bernard, Tory Russell, Cedric Lawson, Alicia Garza, Leslie Mac, Charlene Carruthers, Patrisse Cullors, Cherrell Brown, Dante Barry, Waltrina N. Middleton, Damon Turner, Marbre Stahly-Butts, Ash-Lee Henderson, Damon Davis, Thenjiwe Tameika McHarris, Mari Morales-Williams, Mervyn Marcano, Nicole Lee, Elandria Williams, Opal Ayo, Jonathan Pulphus, Dara Cooper, Michael McBride, Umi Selah, Osagyefo Sekou, Tara Tee, Rose Berry, Sistufara W. Muhammad, Purvi Shah, Cid Nichols, Ingrid Benedict, Jade Ogunnaike, James Hayes, Anita Nichole, Joe Worthy and The Movement for Black Lives. "Intro to Black Feminism" hosted by Sendolo Diaminah Cazembe Jackson, and Adrienne Maree Brown. Created for Black August Practice Group. Black people! Tonight my beloved sister Adrienne Maree Brown is leading a web discussion about Black Feminism as part of a series of Black August political education sessions hosted by Malcolm X Grassroots Movement, Freedom Road Socialist Organization, and BOLD. Those expressing interest on Facebook included Charlene Carruthers. Hey Black organizers & those who love us: BOLD has re-opened our application period for Amandla, our organizer training program. We have just a few more slots we wanted to make available, so now is your chance if you missed the deadline! Alicia Garza, Ajamu Dillahunt, Aaron Gamal, Whitney Maxey, Hashim Benford, Ociele Hawkins, Bryan Proffitt, Bennett D. Carpenter, Courtney Sebring, Cazembe Murphy Jackson, Reece Chenault, Charlene Carruthers, Chanelle Croxton, D’atra Jackson, Dove Kent, Fresco Steez DeLaflyy, Maria C. Fernandez, Aiden Riley Graham, Kaji Reyes, Laila Nur, Theo Luebke, Maria Poblet, N’Tanya Lee, Taliba O Njeri, Orisanmi Burton, Quinton Harper, Roberto Tijerina, Mary Hooks, Serena Sebring, Adaku Utah, Vanessa Moses, Ash-Lee Woodard Henderson, Thomas Wayne Walker, Jayanni Elizabeth, Jayda Rasberry, Amber Evans, Dara Cooper, Yotam Marom. Join Sendolo Diaminah for a conversation about why Black radicals can and must learn how to effectively engage liberal and conservative ideologies among our people. September 2, 2017. Hey family! Here is the final recording from the Black August webinars! Sendolo Diaminah took lots of patience and creativity breaking down Black Ideological Struggle for us. Black Feminisms. Black love. Black power. Squad ❤️ forever. — feeling Black Feminist Bliss with Stephanie J. Alvarado, Charlene Carruthers, Morathi Adams, Mary Hooks, Alicia Garza, Tanya Lucia Bernard and Lynn Roberts at Awid Forum 2016. This page was last modified on 15 January 2019, at 02:30.